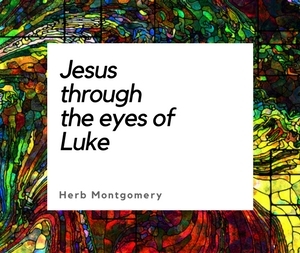 If you are unfamiliar with Renewed Heart Ministries we are a not-for-profit group passionate about centering a set of values and ethics in the experiences of those on the undersides and margins of our societies, informed by the sayings and teachings of the historical, Jewish Jesus of Nazareth. In addition to our educational events in various locations, we offer many other resources. 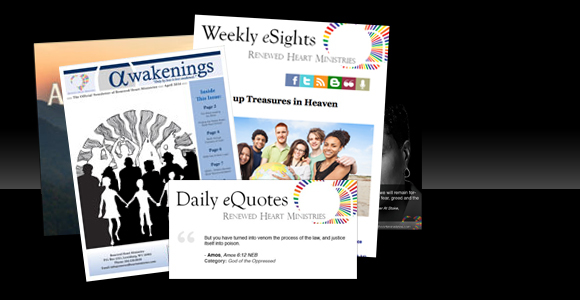 These include materials on our website, daily inspirational quotations (eQuotes) and/or weekly articles (eSights) received via email, and a newsletter mailed monthly to your door. You can follow us on Facebook and Twitter. You can also sign up for our news emails to be notified each time something new is available and to be notified of events happening in your area. And much, much more.